With heart tattoos, you always run the risk of going basic — and when you're getting inked (for life! ), "basic" is hardly ideal. That said, hearts are classic for a reason: They're simple, yet they symbolize so much. Plus there's a lot of room for interpretation, which is always fun. 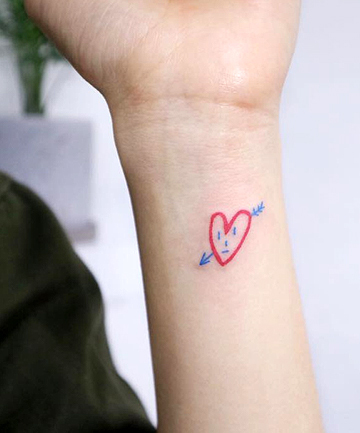 So, in honor of Valentine's Day, we've rounded up some of our favorite non-cheesy heart tattoos, from delicate minimalist options, to quirky unique designs — no boring tattoo ideas allowed, we promise.